Fairfax Schools spokesman John Torre says the teacher remains on paid administrative leave six months after the incident. The teacher and five students were injured last year; two of the students were seriously hurt. 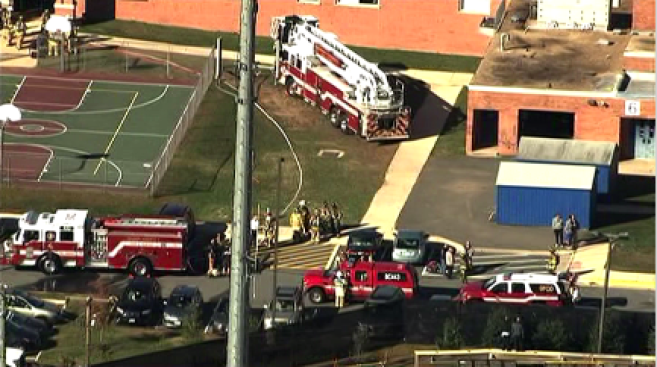 A Northern Virginia school district says a high school teacher violated safety protocols during an open-flame chemistry lab demonstration that injured the teacher and five students last year. Fairfax County Public Schools confirmed this week that the experiment at W.T. Woodson High School was performed last October without a ventilation hood, safety goggles and guidelines from the school system on how to conduct it, the Washington Post reported. Two students were seriously injured after fire flew up from a table as the teacher was demonstrating different-colored flames. Three other students had less serious, non-life-threatening injuries. The teacher also sustained minor burns and was treated on the scene. Fairfax Schools spokesman John Torre says the teacher remains on paid administrative leave six months after the incident. Torre says the district has concluded an internal investigation into the accident, but does not plan to release its findings.